The Aervoe ToolMates Water-Based Cutting Oil (2-Pack) is an industrial-grade lubricant formulated to prolong the life of any cutting tool or machinery while reducing sharpening or down time. It provides lubrication and carries away heat from the cutting point to resist cut-off and breakdown. This helps to improve metal cutting operations and increase efficiency of any equipment. 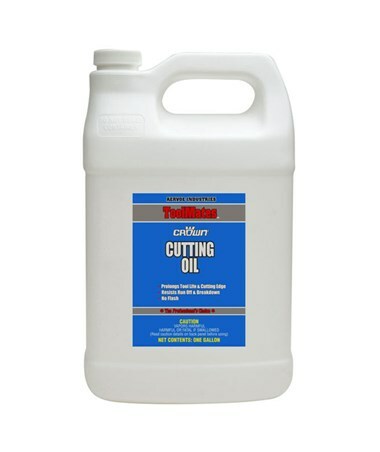 Featuring a water-based formulation with high-viscosity oils and sulfur-free extreme pressure additives, this Aervoe cutting oil is non-flammable and contains no ozone depleting substances. It has low odor and easily washes away with commercial cleaner and warm water. 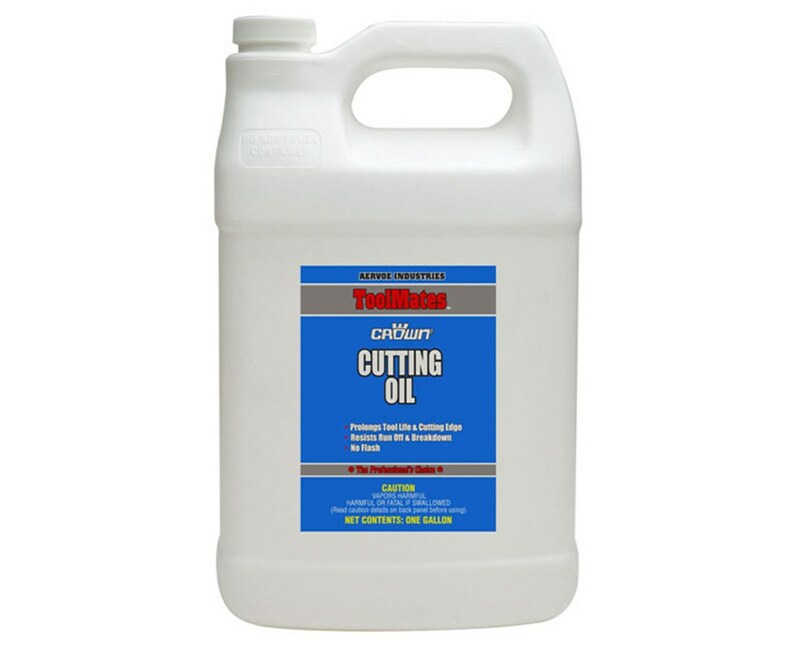 Ideal for large-scale applications in manufacturing facilities, it comes in one-gallon container to accommodate most lubricating needs in sawing, tapping, machining, threading, and drilling operations. The Aervoe ToolMates Water-Based Cutting Oil (2-Pack) is designed for use on both ferrous and non-ferrous metals including stainless steel, aluminum, brass, and copper. It can be easily applied using hand pump applicator, cloth, brush, and automated sump system. Each package includes two cans of white, thin, non-foaming liquid and a one-year manufacturer’s warranty.